Keep up to date with everything happening at CIM! Special Announcement: 4/15/19 Save the Date! During the visit, the congressmen and their staff met with providers, peer recovery coaches and Health Leads volunteers and took away valuable insights about emergency care medicine and wrap around, ancillary support services for those struggling with treatment. They plan to use this information to introduce legislation making Narcan—the emergency medication to reverse overdoses—is available to all first responders. More footage from the visit can be found here. Shortly after the Congressional Delegation visited Johns Hopkins Bayview, two regional leaders from the DEA visited and made an expert presentation at our JHBMC Medical Grand Rounds: Ruth A. Carter, Diversion Program Manager from the Diversion Control Division; and Don A. Hibbert, Assistant Special Agent in Charge of the Baltimore District Office and the Drug Enforcement Task Force Strike Force. Their eye-opening presentation focused on the extent of the opioid epidemic in the Baltimore region, and it led to a very interesting Q & A session with JHBMC providers. Sixth on the DEA’s “top 10” list of problem drug areas, Mr. Hibbert believes “we are in the throes of the worst epidemic in 27 years” whereby Fentanyl is driving much of Baltimore’s violent crimes, and it is currently met by the well-known Baltimore Response Model (encompassing coordinated efforts between law enforcement, public health, and community and schools). The Center for Innovative Medicine is committed to doing our part in fighting the opioid epidemic as we seek to make medicine a better public trust through efforts such good doctoring in addiction medicine (listen to the WYPR podcast mentioned below in the February blog), Medicine for the Greater Good, and “5 in 10”–an effort aimed at increasing life expectancy by five years over the course of a decade in Baltimore City neighborhoods with disproportionately short lifespans. 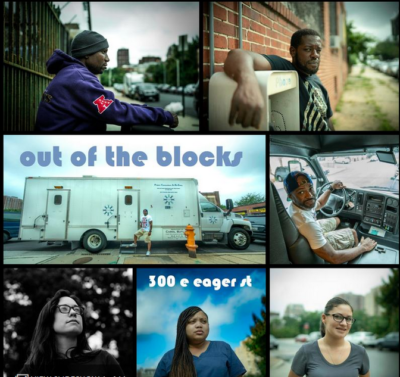 On February 12, WYPR (our local NPR station) aired a segment of “Out of the Blocks” called, “300 E. Eager Street: I’m Fighting for Me.” This series is an immersive listening experience that interviews people to learn about their stories and get to know Baltimore City one block at a time. “I’m Fighting for Me” explores themes of hope, transformation, and wellness in an unlikely place—across the street from the Baltimore City Jail. Yet it is precisely and strategically the right place according to Dr. Megan Buresh, a Johns Hopkins Bayview primary care and addictions medicine specialist; “We know being released from jail is one of the highest risk times for overdose. It’s really hard for people to get into care, and there’s not as much care as we’d like within the system. So we’re here trying to meet people where they are.” Dr. Buresh explains what treatment is (i.e., medication to keep people from craving drugs), and what it is not (i.e., getting high). On an otherwise abandoned city block, a mobile treatment clinic, the “PCARE” van, situates itself across from the jail, where those recently released prisoners battling addiction can walk from the detention center gates directly into the van. In addition to providing treatment, the PCARE van staff serve as a resource for those seeking treatment and recovery and other support. A PCARE client Travis Lamont Cook, Sr., tells how he became introduced to heroin behind bars. Now 39, he has been in and out of jail about 20 times since he was 17 years old; he says, “Every time I look at that jail back there, it reminds me of every time I’ve been in and out of it and I’m tired of it.” Moreover, people struggle with their past as they look to the future. Brittany Kelly, a PCARE nurse, urges the audience to listen—not just to the broadcast—but also to the real people struggling with addiction issues. Brittany reveals that she is the daughter of an addict, and she has lost several family members to the disease; “People who are addicted have backstories—things that have affected them throughout their lives that you may not have gone through. Before you judge you have to understand their backstory.” In addition to a difficult past, for many people the present is challenging as well as most clients are impacted by homelessness and being surrounded by drugs in their community. Yet, as long as a patient is compliant with their protocol, they deliver treatment—and with it, they deliver hope. To listen to the full piece, please click here. 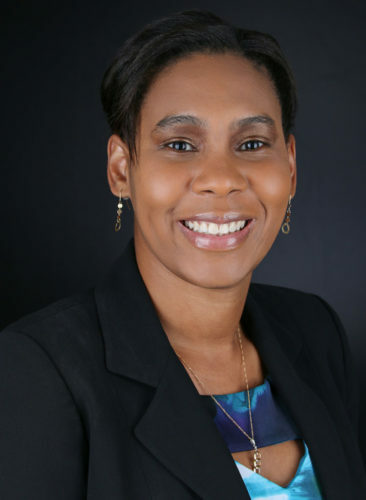 Our hearts go out to those whose lives were touched by Dr. Nadia Morgan, a doctor in the Division of Rheumatology who was tragically killed in a hit and run crash in December at the young age of 35. Dr. Morgan was a talented and enthusiastic physician-scientist where her robust efforts focused on the impact of race on rheumatic disease. She was an investigator for a multi-center cohort GRASP—the largest study of African Americans living with scleroderma. A promising investigator, a highly respected teacher, a beloved and admired colleague, Nadia was a rising star poised for promotion. Her genuine connection with each person made them feel special. Her sincere caring drove her passion for research. Her gentle, engaging spirit combined with her warm Jamaican friendliness created an absolutely authentic, glowing charismatic persona. Nadia was a truly good doctor committed to making medicine a better trust. On January 16, 2019, the Johns Hopkins Bayview community honored her life with a fitting memorial service in the atrium of the Allergy & Asthma Center. About 200 people gathered, including Dr. Morgan’s family and friends, to celebrate her life that was cut too short. Remembering Nadia prompted hugs, tears, songs, and laughter. The simple atrium became a sacred space of loving care. Through the heartbreak, the reflections on Nadia revealed a common thread: how impactful her care was to patients, to family, to friends, to colleagues. CIM Director Dr. David Hellmann, who also worked with Nadia in the Division of Rheumatology stated in a moving eulogy, “She had an unusual ability to light up a room…. She was the sun that radiated warmth to anyone lucky enough to enter her world. No wonder our world suddenly felt colder and looked darker on Dec. 15, the night the sun of her bright life was completely eclipsed by a horrific accident.” Dr. Hellmann continued to describe a testament to Dr. Nadia Morgan’s enduring impact a month after her death; Nadia’s office door was adorned with cards replete with heart-felt notes. Several bouquets of fresh flowers respectfully graced the entrance in front of her door. The door still had a sign that Nadia had made about scleroderma awareness that said, “Hope Matters.” Dr. Hellmann asserted that hope and love make us grateful for Nadia’s life. The Bayview community is grateful to Nadia’s family, Dr. Antony Rosen, and the entire Division of Rheumatology faculty and staff for arranging the service, bringing us together for support to process the painful loss and to remember in joyful appreciation the enduring impact Dr. Nadia Morgan. Let us continue to care for one another, and feel the inspiration of hope that Nadia’s light-filled memory brings. To view a recording of the memorial service, or to contribute to the Dr. Nadia D. Morgan Fund, please click here.